“It’s Europe’s battle. In 2012, we had the battle of the euro in Spain. And we as Europeans won that battle. Now we have the battle of European values and we also have to win that. Europe began with the European Coal and Steel Community and then there was the Treaty of Rome. The European project’s aim was to overcome the difficulties two world wars had thrown up. It was about having no more wars. It was about creating a space in which principles such as democracy, freedom, the rule of law, and respect for the law could be nurtured; a space for economic and social progress. In recent years, we have witnessed a challenge from a number of quarters to these European values that for me and, I believe for most Europeans, are the right values. Populism is surfacing everywhere. We’ve seen what happened with Brexit; there are figures such as Le Pen and Mr Farage, and there is the extreme right in Germany that challenges the supremacy of the law and respect for people’s rights. These were seriously damaged in the parliamentary sessions that took place on September 6 and 7. Which is why I say that this is Europe’s battle and that Europe has to win it in the same way it won the battle of the euro. And I encourage Europe to continue with what it’s doing which is defending the unity of its nations, the enforcement of the law and the Constitutions of its member states. 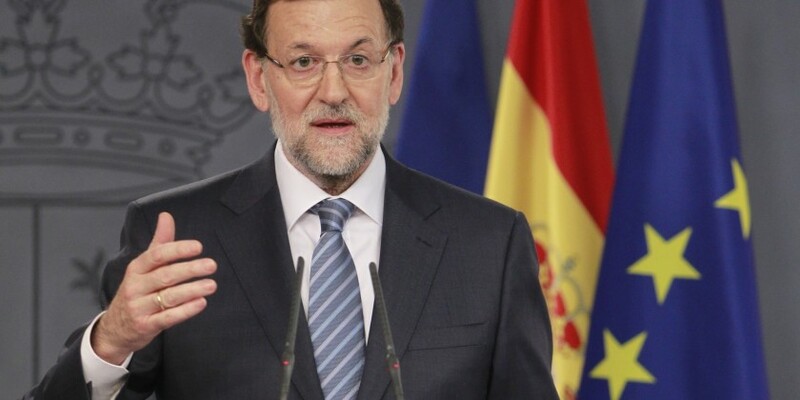 In an exclusive interview with EL PAÍS, Mariano Rajoy stands firm in the face of the separatist challenge, ahead of a session in the regional parliament at which an independence declaration could be made.